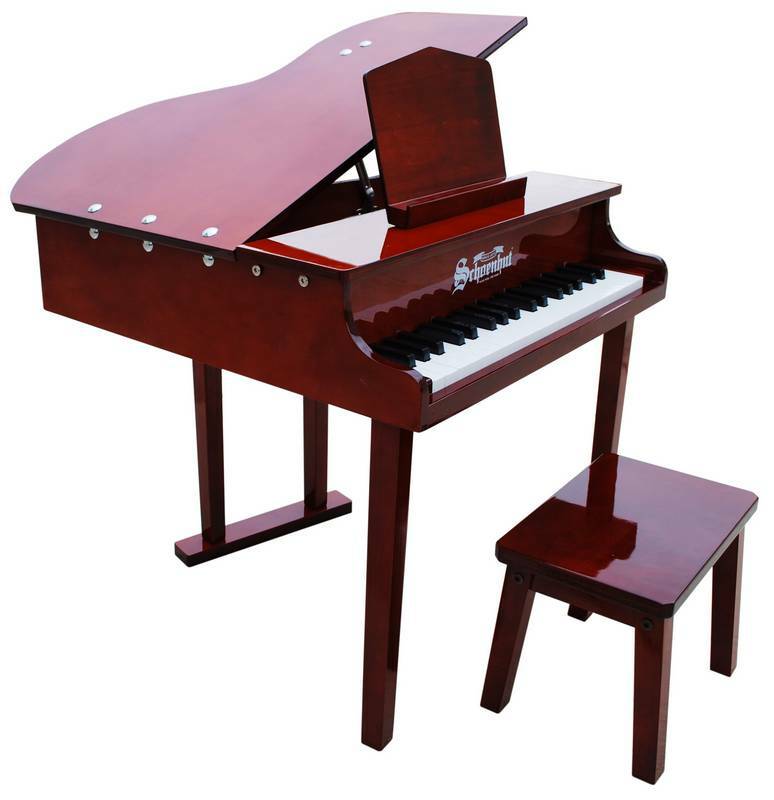 This toy replica of a concert grand is a perfect choice for a child with excellent musical talent and aspirations! 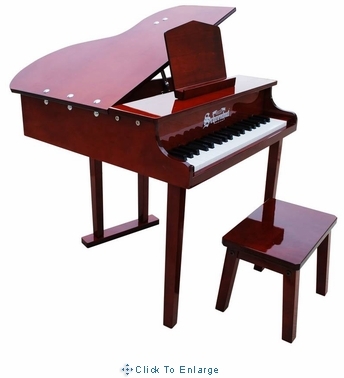 The hinged top enhances the piano's lovely chime-like tones that are created by small hammers striking metal rods. The soft-closing lid is safe for little fingers while maintaining an exquisite design. With three octaves and a keyboard that is almost half the size of an adult piano, young musicians will be excited to perform! Includes: Schoenhut's patented Tri-Play Learning System and bench. With so many options for instruments to choose from, why is Schoenhut the best? At Schoenhut, we prioritize safety over all else. For over 140 years, our brand has been the optimal choice for toy instruments. We meet and exceed the safety standards implemented in the United States and Europe, including EN17, ASTM, and CPSIA. Our strong, patented construction makes our products the most durable for children and adults. Parents can be reassured knowing that their child is having fun, learning, and enjoying the safest toy instrument in the industry! Shipping: This item will ship from St Augustine FL via FedEx or UPS within 2-3 business days.